JNN 28 July 2014 Karachi : On the evening of 28th July 2014 , A meeting of the Central and the all the District Ruet e Hilal Committes , convened in all its respective office , while the Chairman of Ruet e Hilal Committee , Mufti Muneeb ur Rehman announced that the Moon has been sighted for the Shawal 1435 A.H , so the Eid ul Fitr 1435 A.H ,will be celebrated across Pakistan on Tuesday , 29th July 2014 . Central Ruet e Hilal committee Pakistan is the Government’s decision making body for the Physical Moon Sighting for the Islamic Lunar Months, which have representation of Ulema from all the Sects . And is unanimously accredited all over Pakistan . Accept the People following the Decisions from Saudi Govt. and following the Saudi Moon Sighting , the Central Body for them convenes their Meeting at the Masjid Qasim Ali , Peshawar , with its Chairman as Molana Yousuf Popalzai . Who have always announced the Sighting of the Moon in Pakistan , in sync with Saudi Governments Decision of Sighting of the Moon for the Month of Shawal . As this is a Proven Track Record ,that their has been a Number of instances in which , not a single weakest evidence has been recorded across Pakistan , but the Molana Popalzai , has declared the sighting of Moon , on the evidence recorded and given to him by his People living in FATA , Bannu , Mardan and adjacent areas , in sync with Saudi Govt’s decision of Sighting of the Moon. And even this year they declared the Eid ul Fitr to be Celebrated in the areas of their following to be on Monday , 28th July 2014 , thus creating Dis Unity among the Muslims , on the Biggest Ocassion of Unity and Harmony. While the Bohra Community , who follows the Egyptian Calendar ,which has fixed dates , of all the Islamic Lunar Months , also celebrated their Eid ul Fitr across the Globe on Monday, 28th July 2014 . Indian Govt has also announced to celebrate the Eid ul Fitr on 29th July 2014 . So the Muslims of the India will also celebrate the Eid ul Fitr on the same day , as the Pakistani Muslims will celebrate . Monday, July 28, will be the first day of Shawal , and Eid Al Fitr, the three-day festival to mark the end of the fasting month of Ramadan. The UAE moonsighting commitee said Sunday, July 27, was the final day of Ramadan, making Monday the first day of Shawal. ”After exhausting all legitimate methods and making contacts with neighbouring countries, the Shawwal moon was sighted and therefore Sunday, 27 July, is the completion day of Ramadan and Monday 28 July, is 1 Shawwal 1435, the first day of Eid Al Fitr,” state news agency WAM quoted Sultan bin Saeed Al Badi, Minister of Justice and Chairman of the Committee, as saying. Islamic months can last 29 or 30 days depending on the lunar calendar. The Shawwal moon was also sighted in Saudi Arabia, Qatar, Bahrain and the rest of the Gulf region. Government and public sector employees in the UAE will enjoy the week off, returning to work on August 3. However, private sector employees will have a two-day break on Monday and Tuesday, the first two days of Shawal. In Saudi Arabia, it was earlier announced residents would have a 12 day holiday. Eid Al Fitr is traditionally when Muslims spend time with their families and take part in feasts. It is also a time when many choose to take advantage of the long weekend and travel. Eid Al-Fitr 2014 Will be Celebrated by Muslims in USA, Canada, Saudi Arabia and many other places are going to celebrate this occasion in a big way. But many people will celebrate it on Tuesday if crescent moon is not sighted later today. But not everyone in United States will be celebrating the occasion as Fiqh Council of North America, an ISNA sub group has decided to celebrate the occasion much in advance based on astronomical location of the moon. The Fiqh Council of North America had announced the date of Eid and Ramadan much in advance. But this has created fissures among Muslims of the United States many of whom believe that they need to see the new crescent moon by their naked eyes as has been the norm since the days of Prophet Muhammad. But ISNA and many other organizations and groups , who are of the Belief that Islam is an Old Religion , and it needs some amendments , and for that the unwanted confusion caused by the sighting of the moon in traditional ways is avoidable by using the technology that was not available during the time of the Prophet , while the Majority of the Muslims are still of the Belief that the Holy Prophet Muhammad PBUH , Had Ultimate Knowledge and anything said and done by him is Ultimate and final for all the ages to come. Sultan Sa’ad, who is also the President of the Nigerian Supreme Council for Islamic Affairs, NSCIA, had around midnight on Saturday announced the sighting of the new moon and therefore the end of Ramadan. Monday, July 28, will be the first day of Shawal , The same happened in United Arab Emirates, Iraq, Egypt, Qatar, Bahrain and many other nations across the Arab world. Even in Iraq, Grand Mufti Rafi Al-Rifa’i, the highest Sunni authority in the country has announced that the Shawwal moon has been sighted and that the first day of the Eid al Fitr will be celebrated on Monday. According to Shafaqna, the Al-Khoei Foundation announces that “based on the rulings of Grand Ayatullah Al-Khoei, tomorrow Monday will be the last day of Ramadhan 1435 and Eid al-Fitr will be on Tuesday 29/07/2014 inshallah”. EID Al Fitr 2014/1435 will begin to be celebrated globally on Mon July 28 2014. FIRST DAY OF THE MONTH: we will complete 30 days – with Eid on Tuesday. Abul Qasim Rizvi, Imam Panjtan Society of Victoria (MCW member) from Caroline Springs, VIC reported: Insha-Allah tomorrow will be 30th Ramadhan. Tuesday, 29 July will be Eidul Fitr. Dr. Mohammed Hussain Ahmad (MCW member) from Brunei Darussalam reported: the 1st of Shawwal 1435 will commence on Tuesday, 29 August 2014. 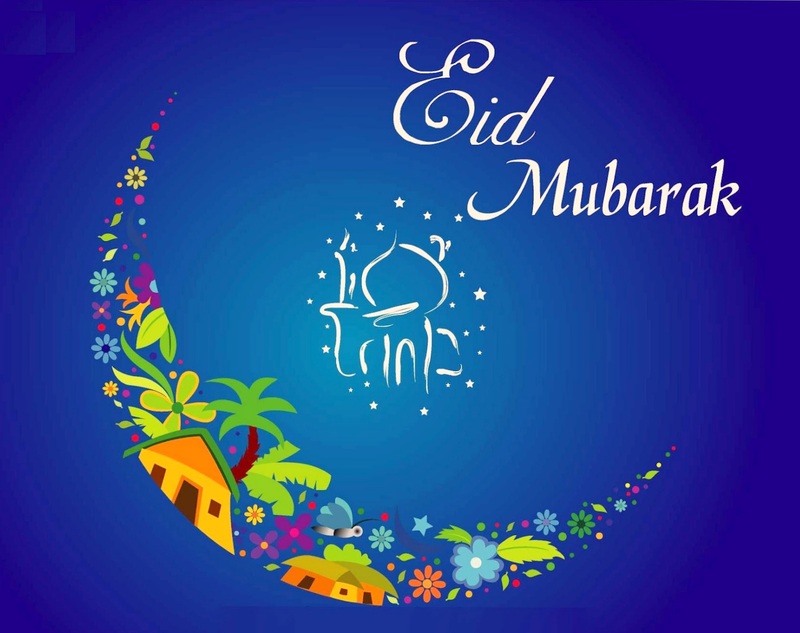 Muhammed Shamim Ali, Fiji Muslim League, reported: Eid is on Tuesday, July 29, 2014. Based on calculations it is 28th JULY 2014. The Ministry of Religion on Itsbat declared that the 1st of Shawwal 1435 AH in Indonesia will be on Monday, 28 July 2014. Wajid Hussain from Palmerston North reported: The Federation of Islamic Associations of New Zealand (FIANZ) has announced that Eid ul Fitre will be on Tuesday 29 July 2014. 1st of Shawwal will be on Tuesday 29th June 2014. Eid ul-Fitr is celebrated at the end of the holy month of Ramadan, the Islamic holy month of fasting. Eid is an Arabic word meaning ‘festivity’,while Fitr means “to break fast”; and the day symbolizes breaking of the fasting period. It is celebrated after the end of the Islamic month of Ramadan, on the first day of Shawwal. The believers across the world are commanded by the Qur’an to complete their fast on the last day of Ramadan and then recite the Takbir all throughout the period of Eid. The fasting begins with a special Eid prayers or Salatul Eid that is offered in huge congregations across the world. Eid Ul-Fitr is one of the two main festivals celebrated by Muslims across the world. From Mecca to Washington, New Delhi, Jakarta, Istanbul and Tokyo, the festival is celebrated by Muslim communities in a big way. It marks the end of the Month of fasting Islamic month of Ramadan and ushers in the month of Shawwaal. For Muslims, Eid Ul-Fitr not only signals the breaking of the fast, but also signifies the attainment of communication with the divine spirit and religious virtue, characterized by sacrifice, self-discipline and acts of charity. This is marked by high level of charity (sadqah) and prayers by Muslims throughout the month. This entry was posted in Jafria and tagged Eid al-Fitr, Eid Mubarak, Eid Ul Fitr 1435, Eid Ul Fitr 2014, Eid ul-Fitr. Bookmark the permalink. WE HAVE DECIDED WE WILL NOT CELEBRATE EID THIS YEAR 1435H.July 27, 2014 //0EditWITH GLOOM IN THE FAMILY OF IRAQIS BOTH SUNNIS AND SHIAS WHO FOUGHT TOGATHER AGAINST THE TAKFIRIS, WAHABIS KHAREJITES HEADED BY ISIS, ISIL KHALIFAH ABU BAKAR (l a ) BAGHDADI , HOW CAN WE EVEN SMILE WHEN OUR SOUL PARTNERS IN IRAQ ARE MOURNING FOR THEIR YOUNG ONES, THE OLD ONE, THE YOUNGS WHO SACRIFICED THEIR LIVES WITHOUT ANY FEAR . HOW CAN WE CELEBRATE, MAKE MEWRRY , EVEN EMBRACE OUR FRIENDS AND RELATIVES WHEN OUR HEARTS ARE DEEP UNDER DEPRESSION THINKING WHAT IS HAPPENING TO THE FAMILIES OF GAZA PALASTINIANS . ISIL, SIPAH E SAHABAH etc ,? ALL HIDING IN A RAT HOLE OR LICKING THEIR WOUNDS AFTER THEIR KHALIFAH ALMOST FATTALY IN JURED AND FLEE LIKE HIS IDOLS FLEE IN THE GHAZWAS WITH THE PROPHET OF ISLAM (saaws). IN WHICH RAT HOLE IS ABU BAKAR BAGHDADI IS HIDING . ?WHERE ARE ERDOGEN ? THEIR STRENGTH, ARMS, AMMUNITIONS WORKS ONLY , ONLY ON GOING OR RETURNING LADIES , CHILDREN AND OLD PILGRIMS . THEY PICK UP AT A LONELY PLACE, DEBOARD THEM FROM BUS OR CARS ON GUNPOINT AND SHOOT . COWARDS ,CHEATS, DISHONEST SCOUNDRELS . THIS HAS HAPPENED IN PAKISTAN, THIS HAS HAPPENED IN AFGHANISTAN , MOOSAL &SYRIA . ALLAH HAS PREPARED GOOD AND SPACIOUS HELL FOR THEM . I AM HAPPY THAT ALLAH IS SAVED , ABU HORAIRAH HAD REPORTED IN SAHEEH , JAHANNUM WILL COMPLAIN TO ALLAH THAT THERE IS TOO MUCH EMPTY SPACE . (ma’az Allah allah did not as per him ALLAH HAD a good idea mow much space for how many PEOPLE will be needed so would had planned accordingly ) SO ALLAH SAID , ABU HORAIRAH CONTINUED , OK I SHALL PLACE MY (massive) ONE LEG IN THE HELL TO MITIGATE YOU PROBLEM OF WAST EMPTINESS . WHAT I WAS SAYING THERE ARE ENOUGH STUFF NOW EMERGING UNDER THE MISGUIDED KHALIFAH ABU BAKRAH AL BAGHDADI , THAT ALLAH IS SAFE NOW , HE DON’T HAVE TO PUT HIS ONE LEG IN HELL (sic) MAY ALLAH PARDON ME FOR THIS CIRCASM IF THERE IS ANY .